BG’s autos club has been a part of the community for several years now, and it has diversified the school’s extracurricular activities. 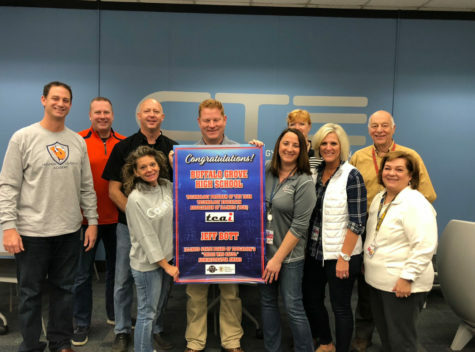 Mechanics is often a forgotten extracurricular compared to athletics and fine arts and autos club began seven years ago unofficially at BG because they weren’t recognized by the school. It wasn’t until three years ago that the club was a recognized part of the school. The club meets every Wednesday in room D118, the autos shop located near the Driver’s’ Ed classrooms and is mainly focused independent work such as fixing cars. Pizza is served at 5:30 every meeting. Anyone is welcome, but in order to work on the cars, you are required to take a safety test. To take the safety test, you have to attend the club and ask Murrin for details. Although, the mechanics classes take the test during the school day, the safety test is required to ensure all students remain unharmed. The number of students who attend vary from two to 20. During club meetings, students are able to work on their cars or friend’s cars. Students don’t have to participate if you attend, students can just watch instead of fixing cars. The club isn’t only focused on fixing cars, but learning what typically isn’t taught in a traditional classroom. Autos club isn’t the only opportunity for students to learn about mechanics. There are also classes you can take focused on auto repairs. There are three levels and four periods available of autos classes this school year. The highest level, Vocational Autos, is dual credit for college and is also considered an honors class. All the classes are located in D118 but autos club gives students extra time to work on their cars or friends’ cars. “My favorite part about autos club is the setting of working on cars and having fun hanging out with my friends and Mr. Murrin,” Mcnutt said. With winter weather quickly approaching, routinely checking your car and preparing for the cold are required for maintenance. High schoolers typically are beginning to drive, so students’ knowledge on cars could be limited. At autos club, students are able to learn about winter car maintenance and they have the autos shop’s resources at their disposal after school every Wednesday. If there’s an issue with a student’s car, autos club is a free option compared to going to the local car dealership or repair center. “Autos club helps us prepare for whenever there’s an emergency, or when you’re stuck somewhere,” senior Ben Carnes said. This club aids students in preparing for a future without autos club and gives the opportunity to learn about cars. 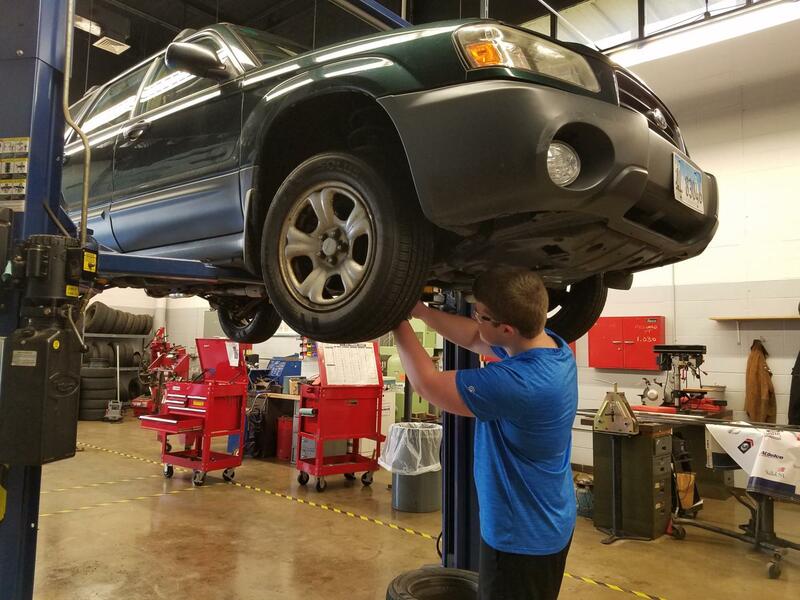 Although BG also offers autos classes, this club has little time commitment and allows students the opportunity to independently work on cars outside of school. “I joined autos club because of my passion for working on cars and wanting to pursue that passion even further than attending a class,” Mcnutt said.